Now for the first time, this pattern is available in sterling silver. 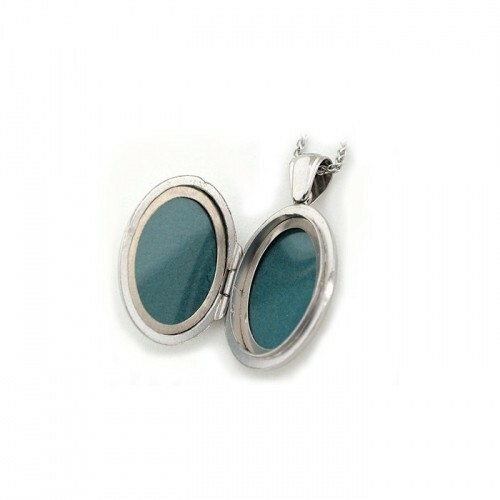 This locket is a forever locket. The combination of quality, craftmenship and style will stay with you always and it is a perfect heirloom. 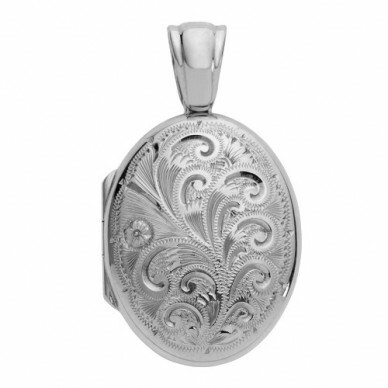 The engraved pattern is done by hand by master craftsmen in Birmingham, England. At 3/4" across it is a perfect size for an average height/weight woman. Comes with a 20" sterling chain. Also available in Platinum, 18K white or yellow gold. Handmade for us by Charles Green & Sons of England. Lifetime warranty. Please email us for more information. 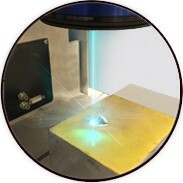 href="/media/Locket_Size_Comparison.pdf">Print this for actual size locket Need a chain? Now for the first time, this pattern is available in sterling silver. This locket is a forever locket. The combination of quality, craftmenship and style will stay with you always and it is a perfect heirloom.